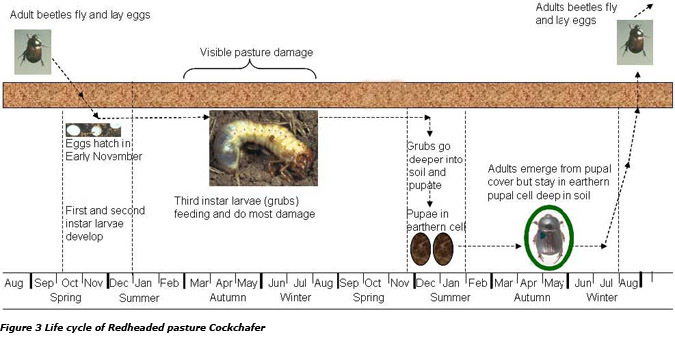 The below diagram shows the lifecycle and images of Melbourne’s orange-headed cockchafer grub. Above. Orange headed cockchafer grub (3rd instar), about 25mm in length. 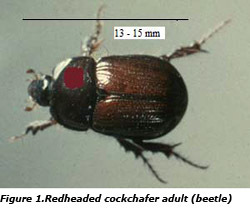 The orange-headed cockchafer Adoryphorus couloni, (Bermeister) has a two-year cycle. 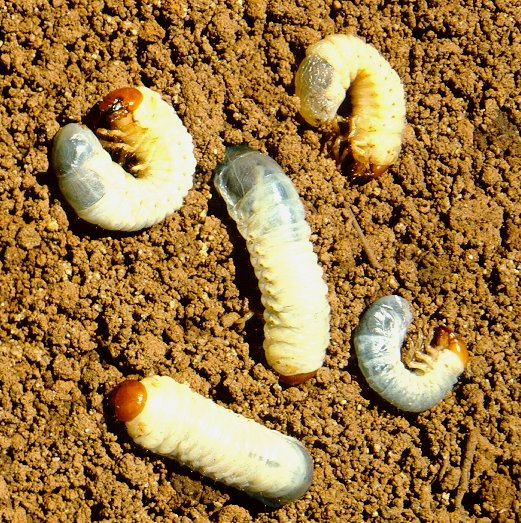 The adults lay eggs from early October and the emerging larvae, which damage lawns, feed on organic matter and plant roots underground and will remain 2–4 cm below the surface until early September, when they emerge as adults. The attacks can start as early as the end of March and the damage will normally peak by the end of May–June. However, the larvae activity slows during the colder weeks of the winter (typically July). Wet springs stimulate adults to lay eggs, which increases the chances of higher populations of grubs being present the following year. The control measure is from early September through to Mid summer. The key is to break the lifecycle targeting the hatching eggs and early instar larvae. Once the larvae are at the 3rd instararound 25mm long they are very difficult to control.